Bring a large pan of water to the boil and add salt. Once boiling add gnocchi, stir and cook for approximately 2 minutes. The gnocchi is ready when it rises to the top. Carefully remove gnocchi and drain the water. 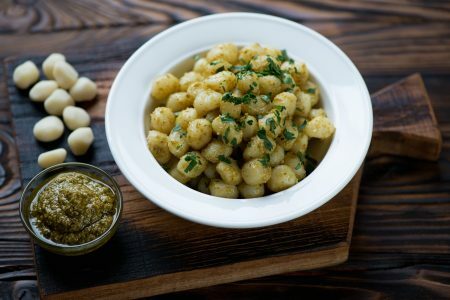 Return gnocchi to the pan and stir through the pesto. 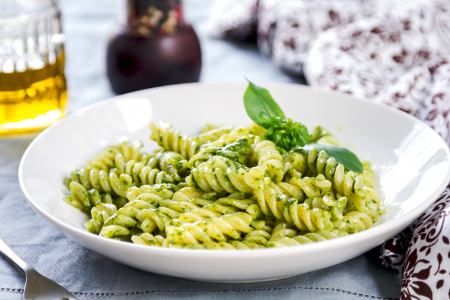 Serve hot and with vegan parmesan cheese if desired. 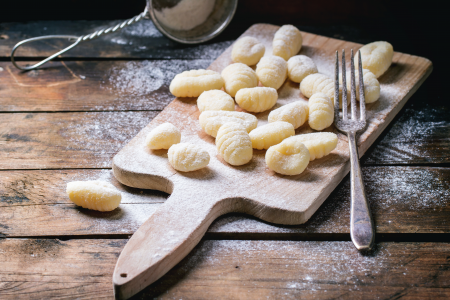 HOW TO COOK… Gluten Free Gnocchi: Even Faster Than Pasta!